November 2003. Doctor Who will be returning to BBC television in 16 months. This fact inevitably overshadows Scream of the Shalka: the BBC’s first bid to broadcast a new series of ninth Doctor adventures. It’s an aberration, a footnote to the ‘Wilderness Years’, not even a false start because there was never any possibility of a follow-up. Even its entry in the fortieth anniversary coffee table book, Doctor Who: The Legend is undercut by a paragraph about the exciting announcement that Doctor Who was coming back to TV in 2005. Doctor Who is back. This time he’s fully animated, he’s got a new body… and he’s on BBCi. 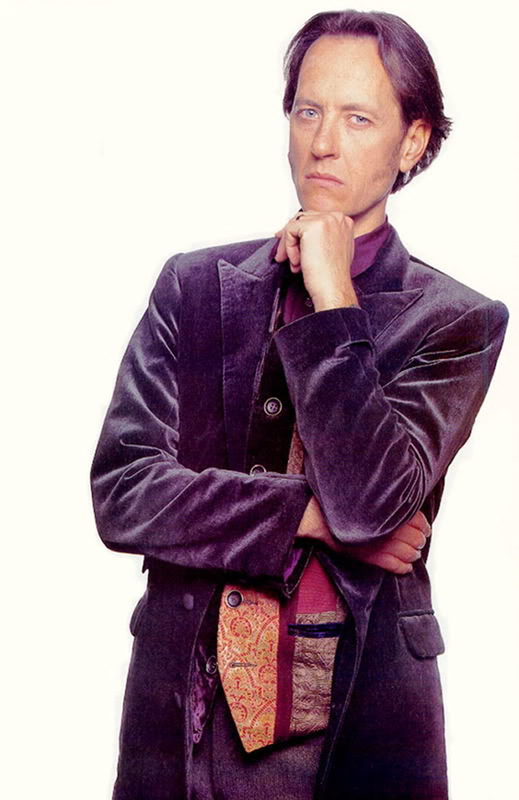 Richard E. Grant will play the ninth incarnation of the Time Lord. He described his interpretation as something of a “Sherlock Holmes in Space,” and said he immensely enjoyed recording the story. And it ended on 26 September 2003, when the BBC announced that Russell T Davies would be creating a new TV version for BBC Wales. Scream of the Shalka haunts the end of the ‘Wilderness Years’ like the Could’ve-Been King. In many ways, it’s the pay-off to 12 years of development, as fans of the classic series became professional writers, producers and editors, honing their skills and getting employed in the kind of positions that allowed them to create this: an officially-sanctioned ninth Doctor that, had circumstances been different, would have become the ‘current’ incarnation in the BBC Books and DWM strip. If that had happened, Grant, like McGann, would have been hard to ignore if anyone chose to revive the series on TV. If anything, unfortunate scheduling relegated Grant to ‘unbound’ status. Watching Scream of the Shalka now is a curious experience. It hardly feels like a lost opportunity, because it’s so close to what we got on TV in 2005. Right from the start, it’s obvious that this is a series that owes a heavy debt to the Pertwee era, even if it’s ambivalent towards it. The titles feature the coloured swirls of the 1970-73 credits; UNIT plays a significant role; the plot – which begins with a meteor shower and features a race of cave monsters – has obvious antecedents. The animation is limited, but there are some neat visual nods to movies like Jurassic Park and Aliens, and a visual storytelling that owes something to the big splash pages of the comic strip. This ninth Doctor is a curious mix of slightly snobbish distance, largely during the first two episodes, and wild excitement. He can tell a lot by sniffing, a trait Cornell re-uses in 2007 for the Family of Blood. He’s running from a traumatic event in his past, which has left him angry, wounded and reluctant to make personal connections, although he’s able to drop the posh accent and attitude when he meets a homeless woman, implying they’re just an act to keep people at a distance. He keeps claiming, ‘I can’t do this any more’ as though he thinks he’s no longer up to the job. A theme of the story is his rediscovery of his mojo. Grant’s performance, which has had mixed reviews, works well in this context, his flat delivery in the first episodes picking up and coming alive just as the Doctor starts rediscovering his joie de vivre. His new companion, Alison, is a young black woman whose dreams are being stifled by a needy boyfriend who wants to keep her in the small town of Lannet rather than the big city. She ‘gave up a degree in history’ to spend her life with Joe, and regrets it. She sees the TARDIS as her way out of the rut she’s in. We see more of her domestic set-up (her job, her house, her boyfriend, her mother’s house) in the first two episodes than we’ve seen for any previous companion. This is a Cornell innovation of the ‘Wilderness Years’, a theme he started when Bernice brought a determinedly ‘domestic’, human viewpoint to the seventh Doctor and Ace’s epic space adventures. Alison pushes the idea further by because she’s clearly grounded in the real world of 2003. This level of domesticity, of actually putting the monsters in front rooms – ‘You’re on every street, you’re in their homes’ – is something that we associate with the Yeti-on-the-loo approach, but in reality rarely happened in the past (Terror of the Autons and Survival are the most obvious exceptions). Other elements that Cornell inserts, such as the ultra-topical references to WMDs and ‘regime change’; the Doctor’s mobile phone, the danger of climate change, and the shift from a local to a global threat (with scenes of possessed humans in America, Siberia and China) are incremental changes. They’re exactly what you’d expect a contemporary version of Doctor Who to do. Brilliantly, the Doctor defeats the monsters by singing show tunes, which is both a clear and deliberate killing blow to the Saward and guns school of Doctor Who, and more Russell T Davies than the man himself. When Scream of the Shalka was issued on DVD in 2013, some of the reviews noticed ‘surprising’ similarities between it and the TV revival. But there’s nothing surprising about them at all. The point is: Rose is absolutely the outcome of the ‘Wilderness Years’. Any history of the series that treats them as a brief paragraph that’s mainly concerned with the TV movie is, frankly, as wrong as trying to jump from The War Games to Robot. Scream of the Shalka is evidence that the new series didn’t leap, unprecedented and fully formed, straight from Russell T Davies’ brain in 2003, but was instead a distillation of themes and ideas that had been developing for 11 years. It’s what you get when you’ve kept up with Doctor Who since 1989 (the TV movie is what you get when you haven’t). Why should it be surprising that two New Adventures authors were able to independently re-launch Doctor Who with the principles of the novels, combine them with the sensibilities of the Big Finish audios and the style and pace of the comic strip? Given their authors’ shared background, it would be much more remarkable if Rose and Scream of the Shalka were radically dissimilar. We’re at the end of the ‘Wilderness Years’. They were a strange time, often frustrating, and frequently disappointing. But they also bequeathed the 2005 series five writers who weren’t only up to the job of bringing Doctor Who back, but also a whole approach to telling Doctor Who stories that was only partly suggested by the 1963-89 TV series, but which was wholly contiguous with the way they developed in 1991-2003. ‘Wilderness Years’ is a misnomer: they were abundantly productive and the nucleus of modern Doctor Who.